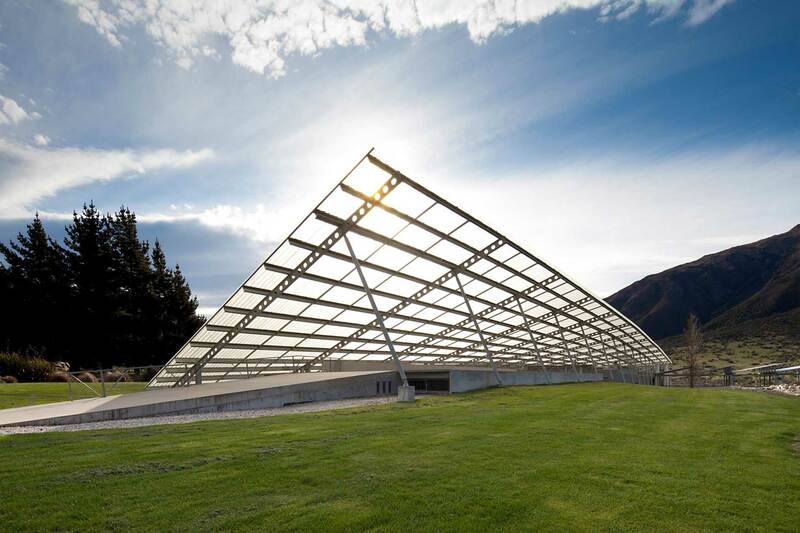 We’re excited to see our Bendigo Estate in Central Otago featured in an article in the latest North & South magazine (Jan 2019 edition). Peregrine owners, the McLachlan family, have had a passion for this land since Lindsay and Jude first purchased a block from John Perriam in 1998. 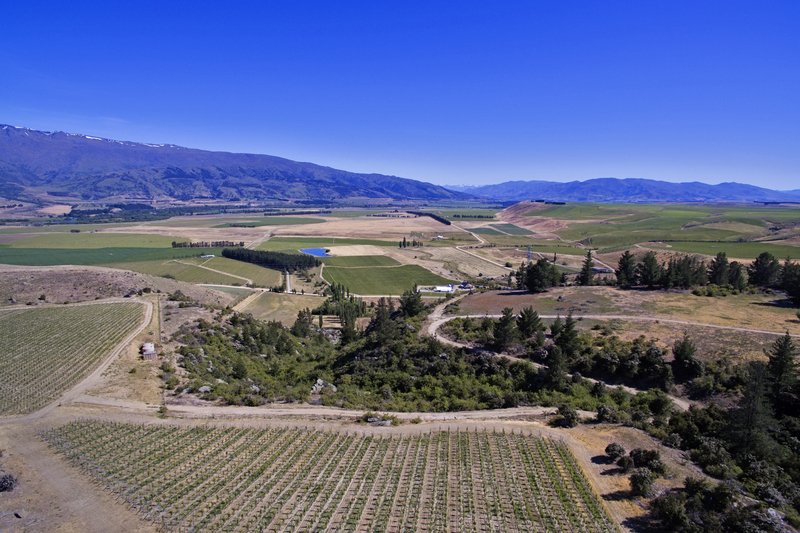 In the years that ensued they have transformed their patch of paradise, with a holistic approach that integrates crop and livestock farming to vineyard management. All creatures great and small contribute to life at Bendigo. Cattle help with compost production used to feed the vines and enrich the soil with organic matter, a herd of Wiltshire sheep keep down undergrowth in the vineyard, and the goats make a fantastic contribution controlling scrub in less developed areas. Pigs, chickens and bees are tenderly cared for by Jude, with the chickens employed to take care of any grass grub on the estate. Organic farming is fundamental to every aspect of Peregrine’s Bendigo Estate and the fruit from Bendigo is recognised as forming an integral contribution to the Peregrine range of wines. Available in the online Shop at www.peregrinewines.co.nz. Enjoy a glass while relaxing with your copy of North & South! On a night dominated by Marlborough wineries, it was an honor to be awarded the Guala Closures Champion Pinot Gris trophy for our 2017 Saddleback Pinot Gris at the Air New Zealand wine awards in Hawkes Bay on Saturday night. Our CEO, Fraser McLachlan, proudly accepted the trophy on behalf of our passionate and hardworking team on a night where Peregrine was the only Central Otago producer awarded a trophy. 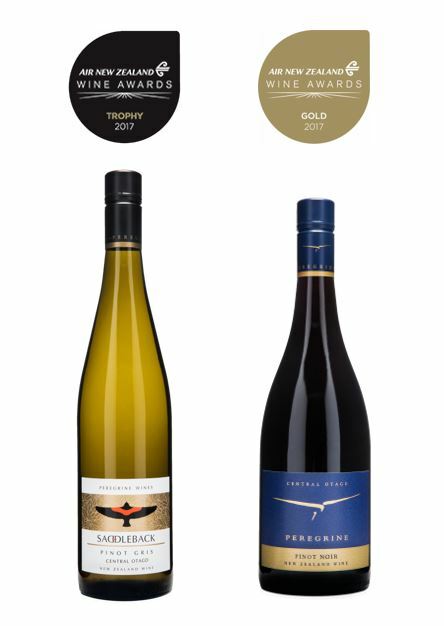 The Air New Zealand Wine Awards are the New Zealand industry's premiere awards, with over 1,300 wines entered in this year's competition and only 80 gold medals awarded, two of which were awarded to our 2015 Peregrine Pinot Noir and 2017 Saddleback Pinot Gris. The judges awarded the Saddleback Pinot Gris top spot for having gorgeous flavours of poached pear, nectarine and pineapple wonderfully framed by rich texture and succulent mouthfeel with a delightful spicy finish. These results are a testament to tireless effort of our wonderful team, from out estate vineyard crew who are so dedicated to producing exceptional grapes, to the winery who do a fantastic job crafting that fruit into award winning wines.